Which SaaS companies are driving high growth from efficient marketing? Twice in the last few weeks I've come across the phrase "efficiency of capital." 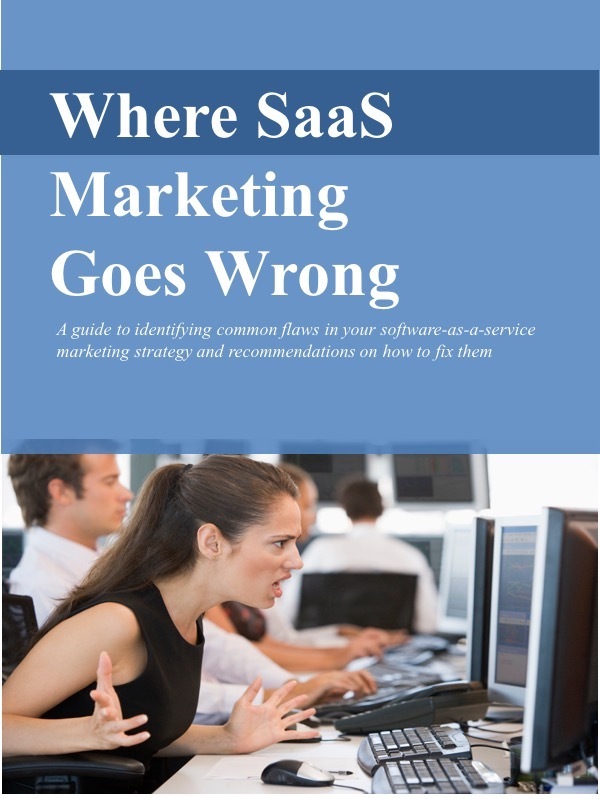 Given that sales and marketing expenses are among the highest outlays for SaaS firms, I examined the sales and marketing spending of several of the largest software-as-a-service (SaaS) companies in order to assess the link between their spending and their revenue growth. Which companies are efficiently deploying capital for marketing and sales to drive growth? Based on results shown in the chart, it appears that there is no absolute correlation between sales and marketing spending and growth. In some instances, higher spending can yield higher growth. But it's also possible to spend a lot on sales and marketing without generating proportionately higher growth. Comparing sales and marketing spending to growth, we can see that some companies are generating significantly better results from their sales and marketing spending than others. In other words, those companies appear to be deploying their capital much more efficiently, spending wisely on sales and marketing relative to other SaaS vendors. I then compared that ratio relative to each company's most recently reported year-over-year revenue growth in order to assess how effectively sales and marketing spending was driving revenue growth. Despite the accounting perils and the normal challenges involved in comparing different companies in different markets, we can gain a few valuable insights. Nearly all of the SaaS vendors grew their subscription business at an impressive rate last year. All but one grew more than 20% year-over-year. Some analysts are predicting that these vendors will grow even faster in 2009, as customers are pushed toward the advantages of SaaS in this tough economic environment. For all but one vendor, the cost of sales and marketing relative to revenues is substantial, from 25 to 82 percent In fact, for nearly all of them, sales and marketing represented the single largest expense item. This may be due, in part, to their being relatively young companies that are spending heavily to build market presence, though even a very large and well-known SaaS vendor, salesforce.com is spending 54% of annual revenues on sales and marketing. There's a wide range of return on these SaaS vendors' sales and marketing spending. At the high-efficiency end of the spectrum, Concur generated 78% annual revenue growth with a relatively low 29% sales and marketing expense to revenue ratio. By contrast, RightNow generated 20% growth, having spent 66% of annual revenues on sales and marketing. In other words, companies can spend a little to grow a lot, or they can spend a lot to grow more modestly. Interestingly, two companies in the same market, talent management solutions, allow us to compare the results from two different approaches. Pursuing a high spend/high growth strategy, SuccessFactors spent 82% of annual revenues on sales and marketing in 2008 (down from more than 100% in 2007) to generate growth of 78% in revenues. Following a more moderate spend/moderate growth strategy, Taleo spent 35% of revenues on sales and marketing to generate 33% growth. Again allowing for differences between companies and markets, the assessment indicates that there are certain ways to spend on sales and marketing that are more efficient and generate better results than others. Though consistent publicly available data on renewals aren't available for all the SaaS vendors I looked at, those generating the most growth from their sales and marketing spending have high renewal rates, typically in excess of 90%. This makes sense: keeping an existing customer is less expensive than winning a new one. The high efficiency vendors have mechanisms in place, automated or otherwise, to closely assess the return on each sales and marketing program. And they make the tough decisions to cut those that cost more than they yield. Those SaaS vendors who are generating high growth from relatively low sales and marketing expense have a solid understanding of their sales funnel. They know how many interested prospects and how many marketing touches are needed to generate a legitimate opportunity, and how many opportunities are needed to yield a win. They don't under-spend, starving the pipeline, or over-spend, generating prospects they can't pursue.